สามารถจัดทําระบบควบคุมอัจฉริยะ (Intelligent control) ตามความจําเป็น โดยมีรูปแบบคอมพิวเตอร์ควบคุมสินค้าคงคลัง “AWC” AWC=Automated Warehouse Controller. 1) Providing store item barcode and Pallet ID label then attached to load (& pallet). 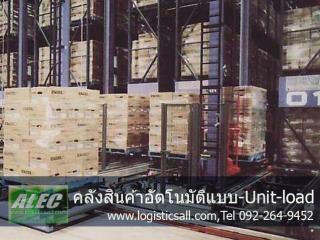 6)STV come pick up the coming in pallet to assigned aisle conveyor. 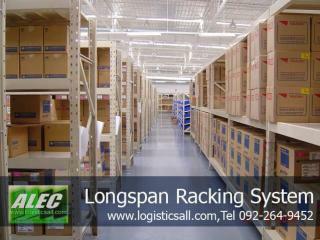 7)Rack master come to pick up pallet at aisle conveyor to store in AS/RS racking. 8)Pallet data and storage location information sent to WMS server. 1.WMS receiving picking plan data from Host computer. 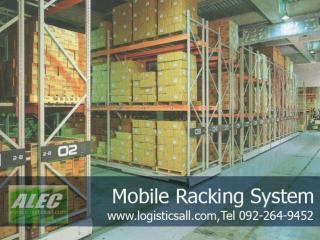 2.AGC sending command to SRC to assign rack master to retrieve the selected pallet item. 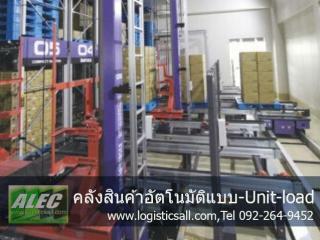 3.Rack master drop off the retrieved pallet at aisle conveyor. 4.STV come fetching the coming out pallet then carry out the load to store-out conveyor. 5.Forklift take out the load to shipping out area. 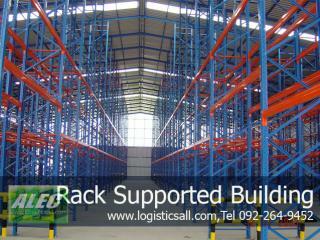 2) Process retrieving out same as store-out operation, rack master pick out the selected pallet as per picking lists. 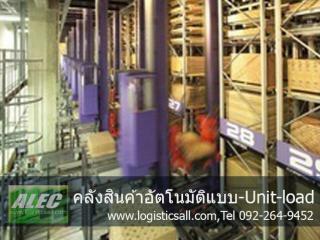 3)STV come fetching selected pallet then deliver to assigned partial picking station (U-Shape). 4)Operator pick out quantity as WMS instruction. 5)Press [Complete] button to complete the retrieval. Stock Info table and Picking Result Info table will be updated. 6)Returning the remain quantity pallet back to AS/RS racking through STV. 1)Allocating partial picked out items (carton box). 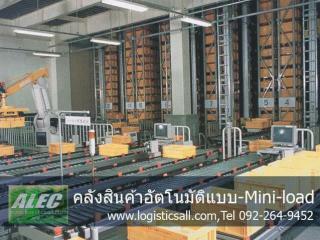 4)Carton boxes barcode detected by fixed barcode reader then will be sorted out to assigned sorter chute. 5)Transferring to shipping by dolly.